The wonderful riding experience with Fosjoas self-balancing electric unicycle comes from the humanized design for maximized riding comforts; however, the realization of humanized design largely depends on the smart application of high-tech innovations to the scooter design. Truthfully, Fosjoas differentiates other traditional electric scooters because it is equipped with high-tech innovations. This explains why Fosjoas electric intelligent scooter is catching on to the public in the current market. Being a scooter-lover, Dana bought it just because of its advanced technology. Firstly, the built-in intelligent chip can automatically control the balance of single-wheeled or twin-wheeled electric scooter by a sensor detecting the human physical movements. That’s why new riders can easily control the scooter by physical movements. According to Dana, for instance, when she wants to turn left, she will slight lean her body and she can sense the movement make right reaction to it. Moreover, the gyroscope system contributes to the balance keeping of the scooter and the scooter slight regulates itself according to the human physical movements and helps riders keep balance during the riding. The high-quality battery also appeals to Dana. Another very important innovation is the high-performance battery. 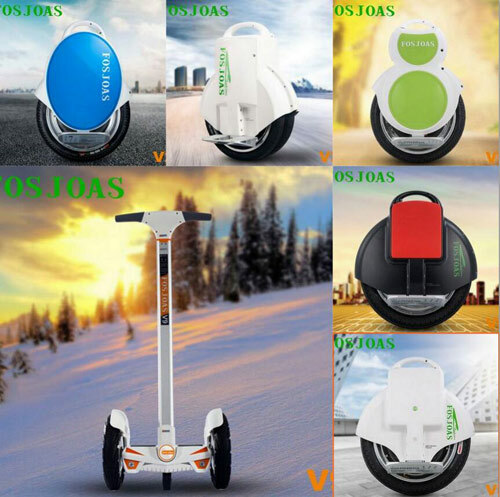 Anyway, the power supply is the core point for any transportation tools, so Fosjoas electric self-balancing scooter is specially equipped with premium-quality battery which solves the problem of power supply. The original Sony lithium battery is featured by long battery life and huge storage capacity. In fact, Fosjoas electric scooter can run a non-stop journey of hundreds of miles little electricity consumption, so Dana is totally free from the anxiety of power-out halfway because of the marvelous power supply and amazing energy saving of the electric scooter. Fosjoas intelligent self-balancing scooters is well featured by tech-intelligence since it is the first type of electric scooter that displays data report to Dana, which takes her aback.